Traveling to Asia means more than being a tourist to three entrepreneurs giving back to the communities they love. This is how they combine business with altruism for the ultimate win-win. A fundamental part of a life well-lived (and well-travelled) is giving—giving back to our friends and families, our communities and country. But giving doesn’t end at our nation’s borders. Over the last 20 years, a movement called responsible tourism has been reshaping how we think of international travel. With the goal of “making better places for people to live in and better places for people to visit,” responsible tourism seeks to generate economic benefits for local people, while at the same time providing meaningful, culturally sensitive experiences for tourists. Here, we look at the inspiring stories of three people who took responsible tourism in Asia to a whole new level, transforming the communities they came into contact with in ways they could never have imagined when first stepping onto the plane. Shelley Saxena left behind a comfortable job as a product manager at IBM to form Sevamob, a social business that leverages technology to provide healthcare to disadvantaged rural communities in India. In a country where life expectancy lags more than 10 years behind that of developed countries, Sevamob provides comprehensive primary care through a series of mobile health clinics. 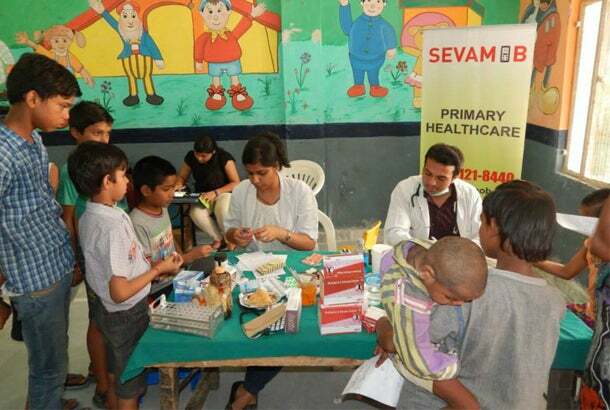 Sevamob provides healthcare to rural communities in India. The company also recently launched a tele-health marketplace in order to allow patients to receive video consultations, reducing the need for them to travel to the nation’s overextended urban hospitals. Saxena’s success has been to make his model work, even in areas where literacy rates and technology use are low. “Each satisfied customer testimonial, every new launch, every award, and each funding round brings us lots of smiles,” he says. On the last day of December in 2010, Erin Michelson, a business consultant and professional fundraiser, took a sabbatical from her job and set out on a journey that would take her to more than 60 countries across all seven continents. Along the way, she has devoted herself to philanthropic causes, connecting worthy local organizations (mostly focused on women, children and poverty) with funders in the United States. Like Shelley, she has made an ally of technology: on her website, Go Erin Go, visitors can vote on which projects should receive funding and recommend other initiatives worthy of note. Erin Michelson of Go Erin Go travels the world fulfilling a diverse range of social initiatives. 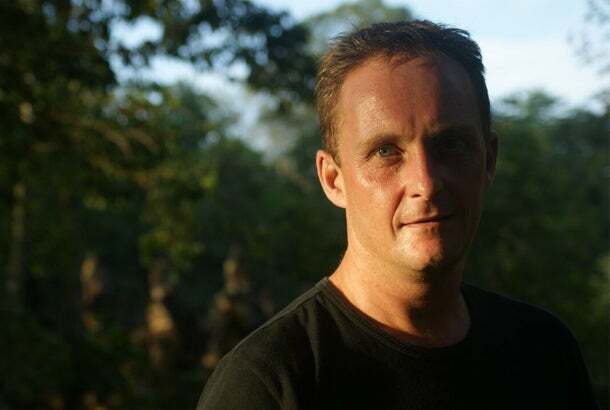 Image credit: Andy Booth, founder of ABOUTAsia. ABOUTAsia provides tours all over Cambodia and neighboring Laos, from the breathtaking ruins of Angkor Wat to Tonle Sap, the largest freshwater lake in Southeast Asia, from vibrant Phnom Penh to Sihanoukville, Cambodia’s top beach resort. The quality of ABOUTAsia’s tours has been recognized by Condé Nast Travel and Travel & Leisure Magazine. And here’s the best thing: in a nation where only one in six tourist dollars remains in the country, 100% of ABOUTAsia’s profits are invested in the ABOUTAsia Schools initiative, which has supported the education of some 53,000 Cambodian children in more than 100 schools. The initiative is made up of some five programs focusing on school supplies, English instruction, teacher training, community-learning centers and volunteering. Shelley, Erin and Andy are inspiring examples, but you don’t have to give up your day job in order to give back to the places where you travel. With the Travelgiver website, you can reserve your trip to Asia and donate up to eight percent of your booking to a community project of your choice. The site also allows you to research worthy projects to support and share your experiences with others. Combining travel with giving has never been easier.